Our tips for cultivating curiosity and thinking outside the box. Whatever industry you work in, having the ability to think creatively is a huge help. And of course, if you work in the creative world (or simply enjoy creative hobbies) being curious and thinking in new ways is essential. Sometimes it can feel as if we’ll never run out of creativity, especially in those moments when we find our flow. Those of you who have ever had creative blocks will know however, that this is not the case. Creativity and curiosity needs to be nurtured and encouraged. Like a garden, it needs to be watered now and then. Here are our top tips for doing precisely that. Especially important if you work in an office, getting out and into a new environment can be a game changer. This could mean going for a quick walk and talk with a colleague, working in a cafe for the afternoon or even taking yourself off for a mini creativity retreat. Being in a new environment will help you see different perspectives, literally and figuratively. It can also offer a little respite from the everyday, something we all need now and then. 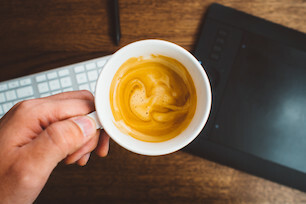 Apparently, when we’re doing things with our hands (like making model planes, washing up, knitting) we are engaging our mind-body connection and this can help encourage creative thinking. The term used to describe this is ‘thinkering’. So next time you’re struggling to think of different approaches, try getting hands-on with an activity and see what comes up for you. If you work in a certain niche it can be helpful to immerse yourself in different areas. Read books in genres you wouldn’t normally go for. Find a film that explores a subject you know nothing about. Listen to a podcast about a completely different industry. Sometimes we can get bogged down in what others in our industry are doing, so it’s helpful to get out of your own ‘bubble’ sometimes and get some fresh ideas. 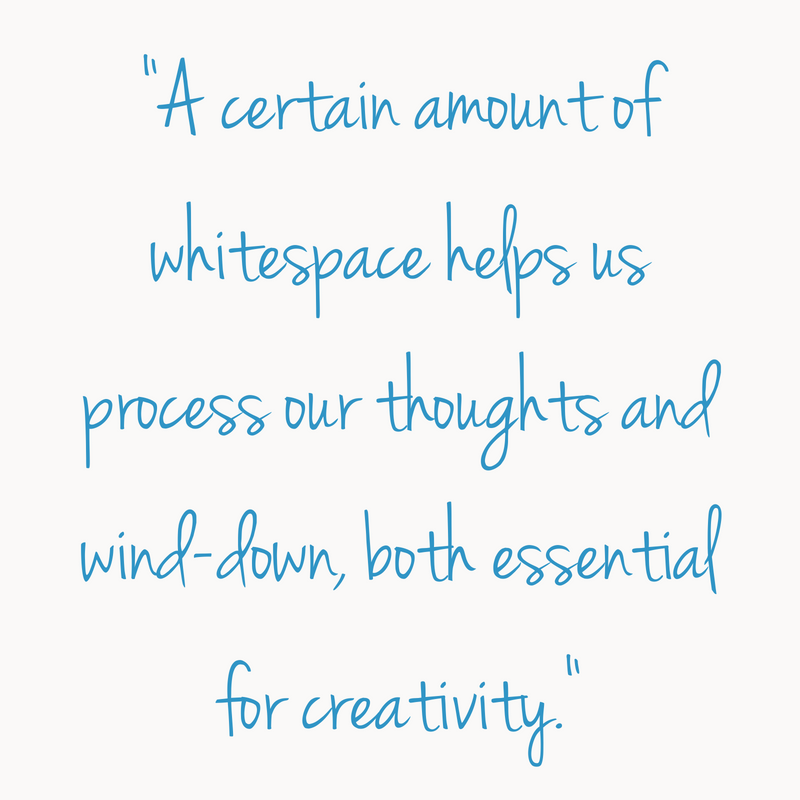 A certain amount of whitespace helps us process our thoughts and wind-down, both essential for creativity. When you find yourself in a situation when you would usually reach for your phone (say when you’re waiting for the train) try and resist this temptation and just allow your mind to wander. A tried and trusted technique, mind mapping encourages us to explore different avenues revolving around one idea. Try using a single word or phrase as your starting point and then think about any words/phrases associated with that. Keep branching off until you fill the page and see what ideas you unearth. If there’s something you or your company do because ‘that’s how it’s always been done’ try and pause, then question it. Industries move so quickly now, it’s important to stand out from the crowd. Challenge your preconceived notions or assumptions and learn to question everything. By now you’ll hopefully be buzzing with ideas, so our final tip is to keep track of all your ideas! Keep a notebook with you at all times, or simply use the notes app in your phone. When you get to your computer, note all your ideas somewhere and keep coming back to them to tend to them, grow them and see what they turn into.